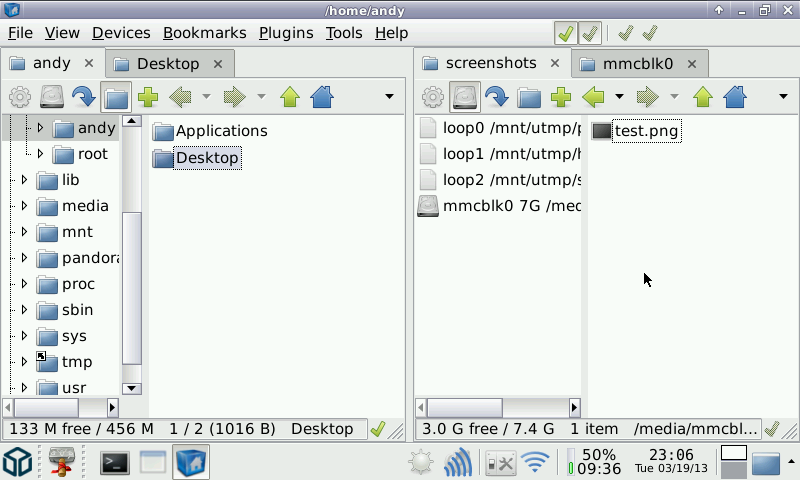 A multi-panel tabbed file and desktop manager for Linux with built-in VFS, udev- or HAL-based device manager, customizable menu system, and bash integration. see http://ignorantguru.github.io/spacefm/news.html#1.0.4 for changes or https://github.com/IgnorantGuru/spacefm/compare/1.0.1...1.0.4 if you want the details. I didn't package 1.0.2 and 1.0.3 for some reason, so this includes all changes from those releases, too. Oh my, well worth the wait! :-D Thanks a lot for the update! It indeed doesn't. It simply doesn't do anythingâ€¦ It doesn't launch or crash. I'm sorry, but I don't have time at the moment to debug this issue. I'll see what I can do about it in a few weeks/months.